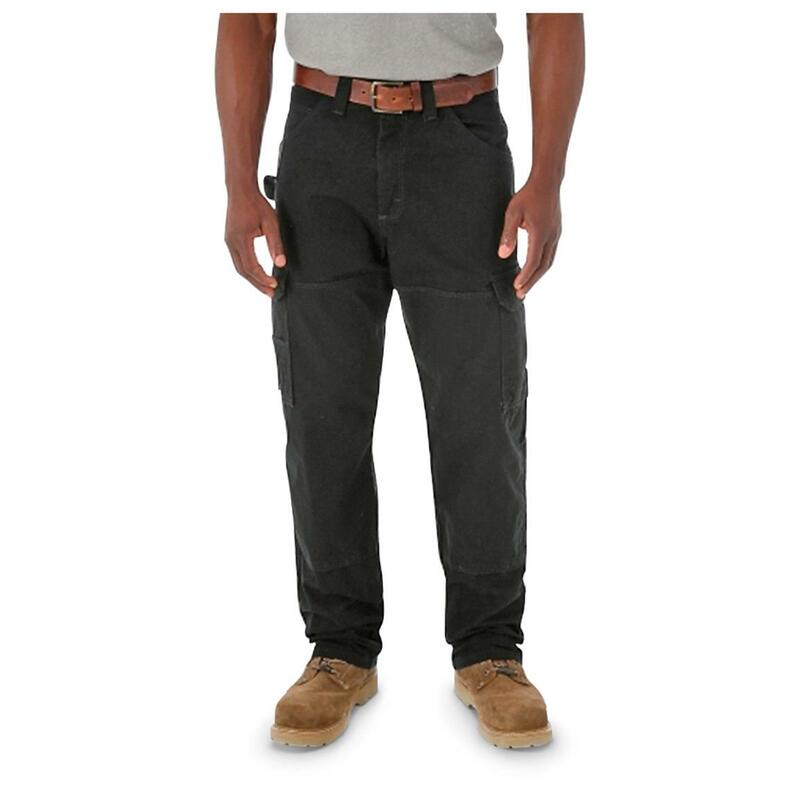 These Wrangler® RIGGS Workwear® Ripstop Ranger Pants have the basics that are anything but basic. They're made from tough 100% cotton ripstop that's triple-stitched for incredible durability. Plus, they feature an action gusset and exclusive Room2move® design in the seat, thigh, knee and bottom leg opening for total ease of movement. They're loaded with pockets, too, for all your tools and gear. 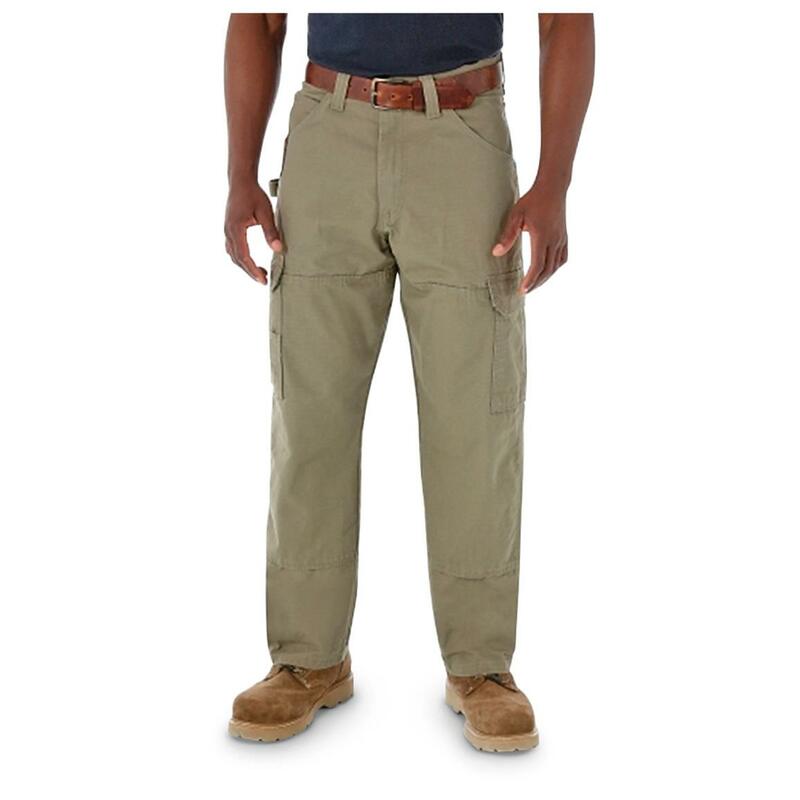 And if you really need to get down and dirty, these Pants even have reinforced, vented knees. Work in Pants made for work. Order these today! Wrangler RIGGS Workwear Ripstop Ranger Pants is rated 4.4 out of 5 by 302. Rated 5 out of 5 by Henry from A tough made product at a moderate price All pockets are truly deep and my only gripe is the pocket within the right hip pocket is too narrow to slide your wallet into. Otherwise they are a great buy. Rated 5 out of 5 by None from I only buy wrangler. Wrangler produces quality wear. Whether it's tops or bottoms. Rated 2 out of 5 by Matt from Ok but need improvement I have purchased approximately 12 pairs of these pant in the last 4-5 years. This pant is Ok but could your some improvement in material. I have every color and wear them everyday for 8-14hrs. Although I wear them everyday, I don't abuse them daily. 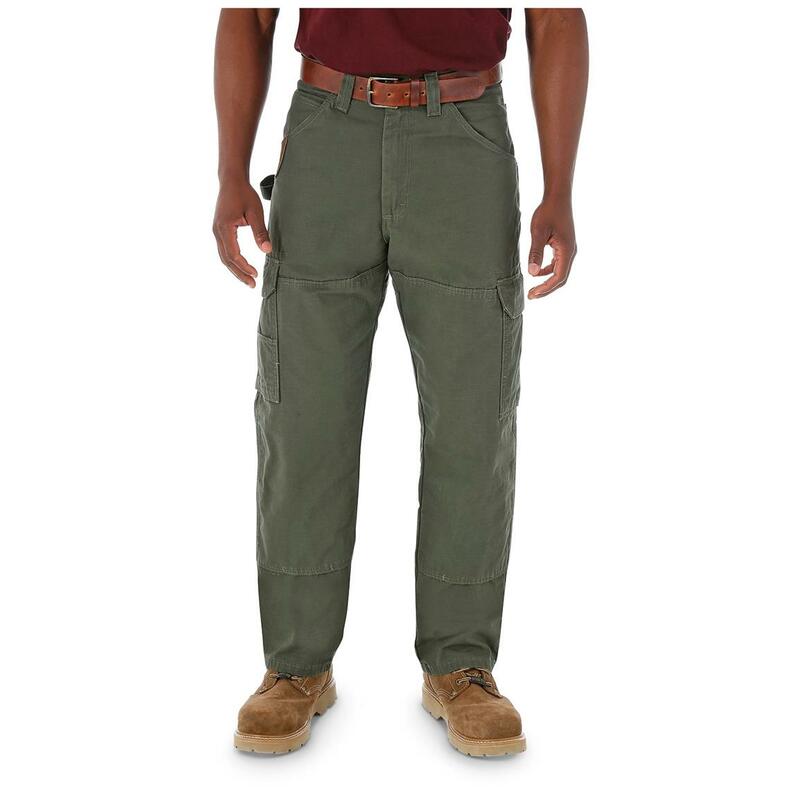 They are comfortable and I find the leg pockets better in design than Carhartt ripstop cargo pant. The reason for the low marks is because I only get 2-3 years use out of them before holes start developing in the crotch. I understand that no material will lasts forever. 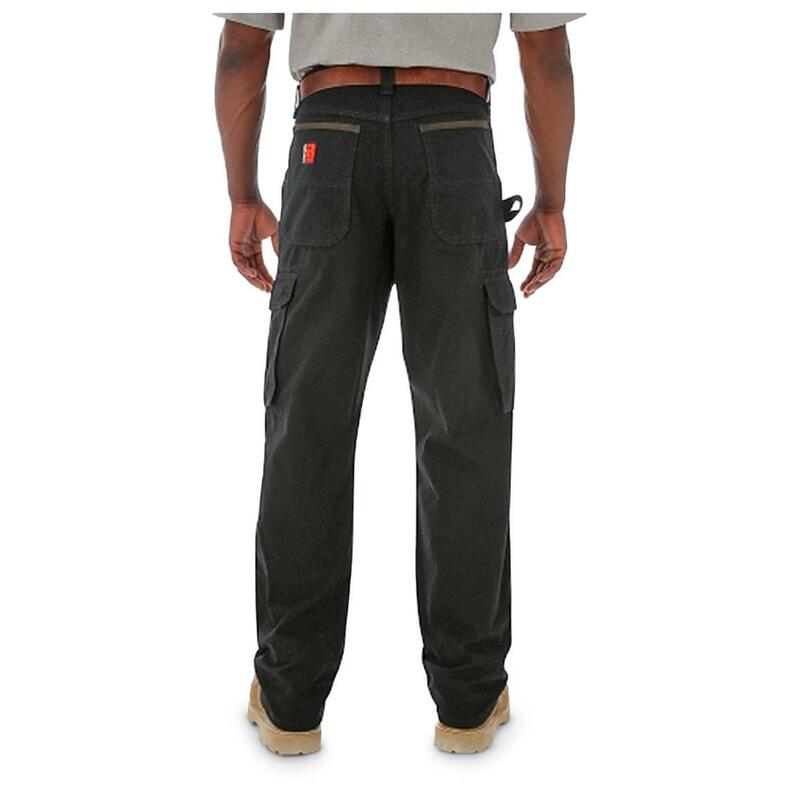 I don't expect a pant to last in the knees or pockets due to use from working in the trades. But to have holes in a spot that every man protects diligently is inadequate. I am a veteran of the US ARMY and have BDU's of the same material, ripstop and never had holes develop in the crotch. 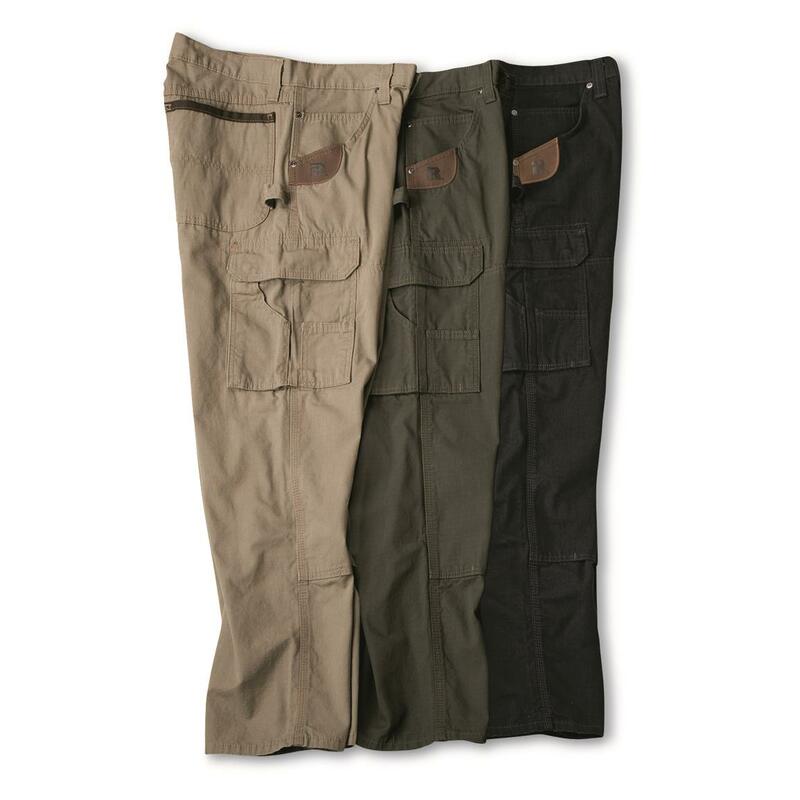 I like the pant and have Carhartt ripstop cargo pants as well. I purchased replacements of each brand this past spring at the same time and found both to be made out of the same material in the same country, Nicaragua. I suspect that they come out of the same factory as well. Both brands where the same color green. My pros: Comfortable - The pant rides and moves in good form with body positioning. Design - The side leg pockets are better design than Carhartt due to having pleats to allow the pocket to expand and hold items. Carhartt lacks this feature and it causes the items to drag, ride, or press into your legs which is unpleasant. My cons: Durability - Wear holes in locations not found in other pants. Design - The pant could use 7 belt loops. Carhartt wins with having this feature. Rated 5 out of 5 by KC70 from Sons - Love Bought these pants for both my sons. They really like them. They are very durable and well made. One of my kids is very rough on his clothes. These hold up better than any other pants we get for him. Rated 5 out of 5 by amag from Buying another pair My son loved these pants for work he will e purchasing another pair.